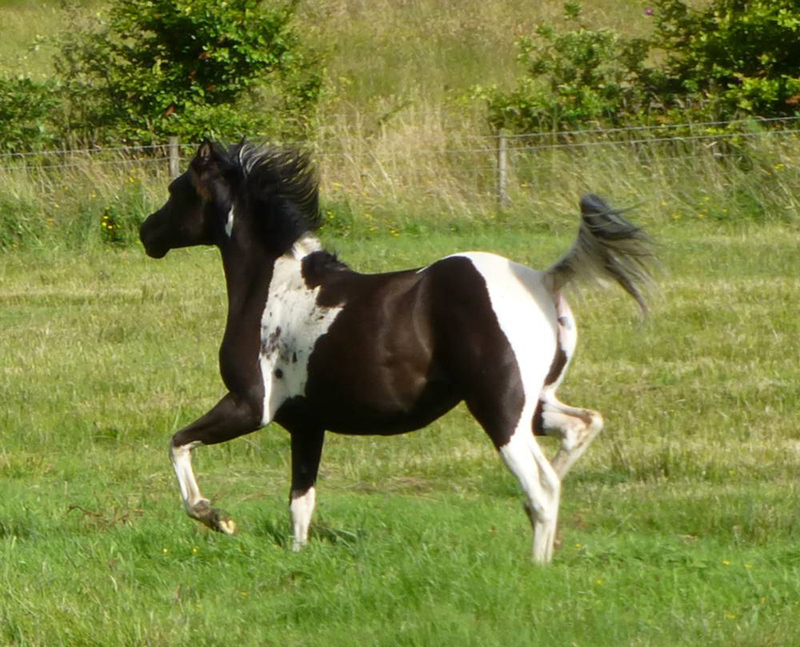 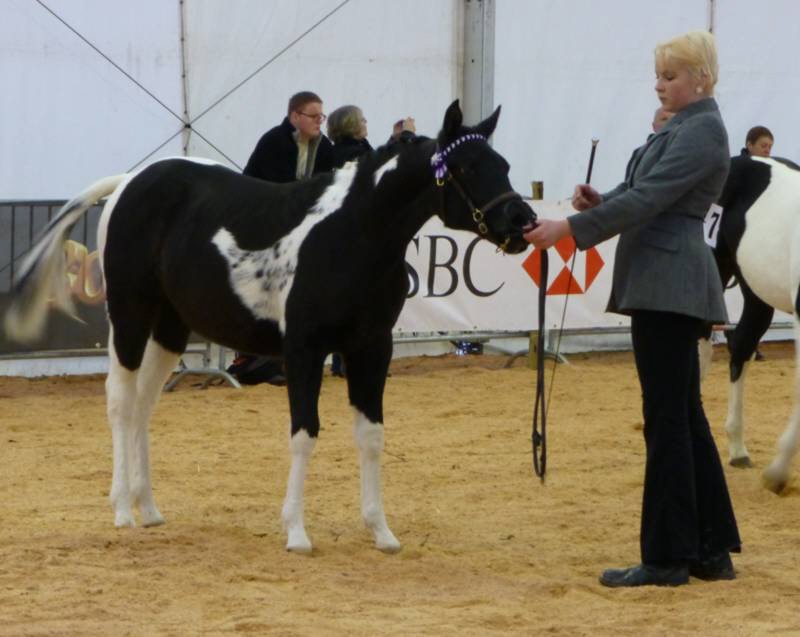 Beautiful and rare black and white homozygous for tobiano filly 99.5% arabian, good in all ways, has been shown and is good for the show prep as well, quiet to travel and easy to load. 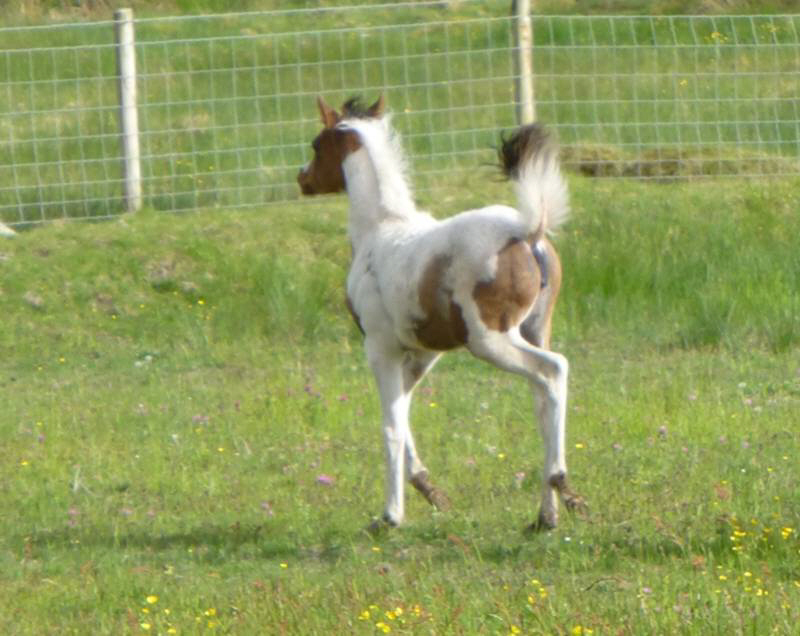 We have planned to keep and show this filly ourselves but will sell her if the right home comes along because we have so many other youngsters to show, time doesn't allow for us to get them all out. 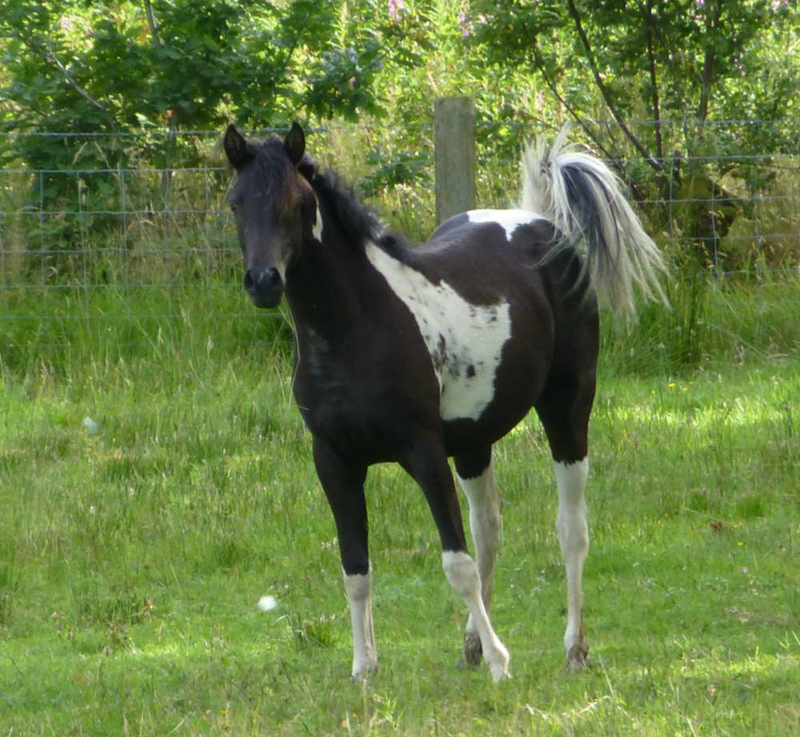 She is extremely sweet to handle good catch and wears rugs etc. 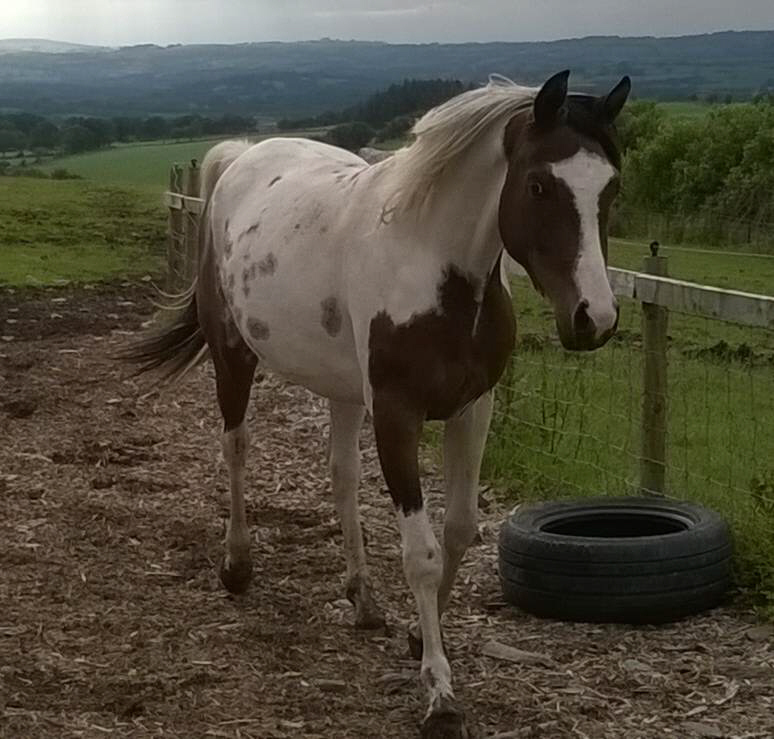 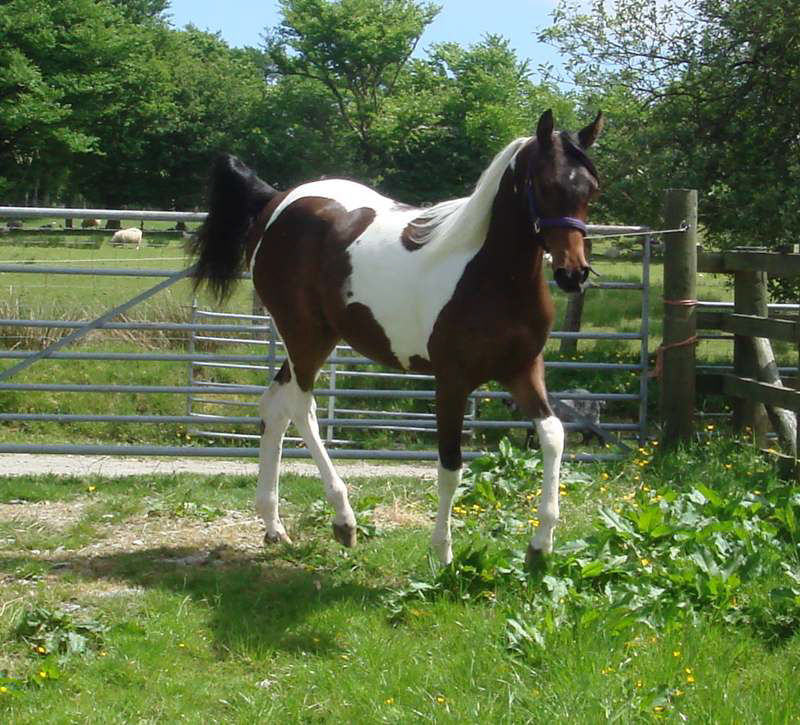 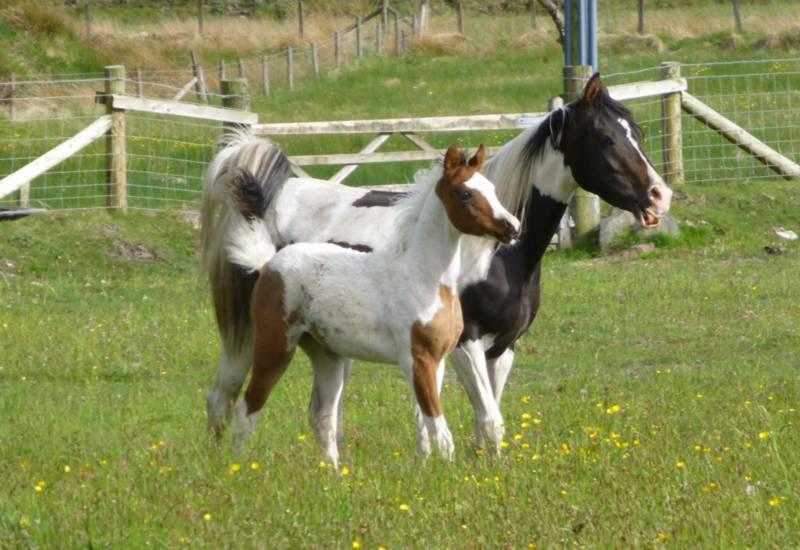 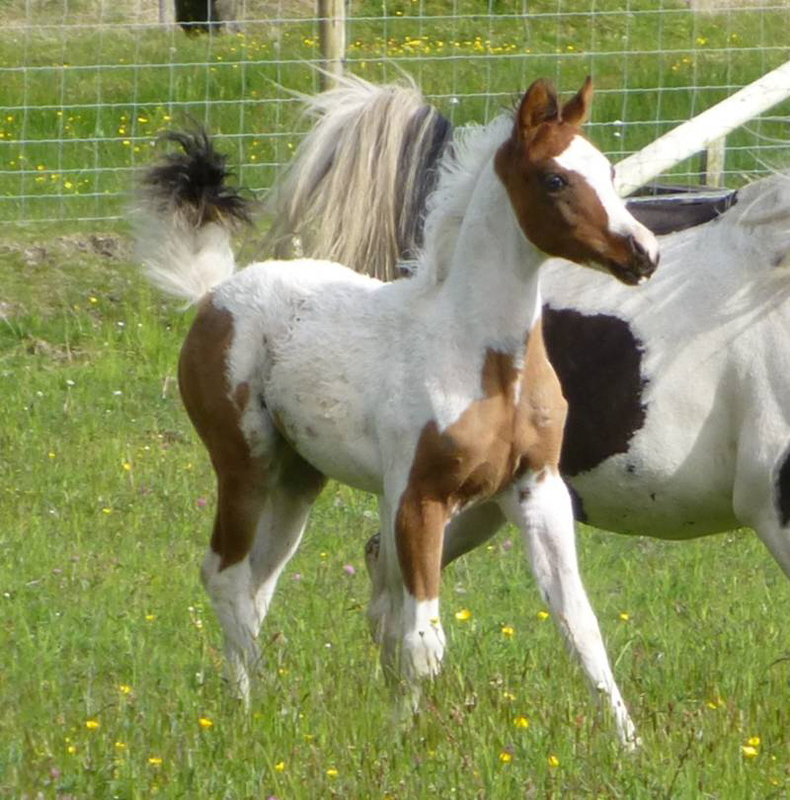 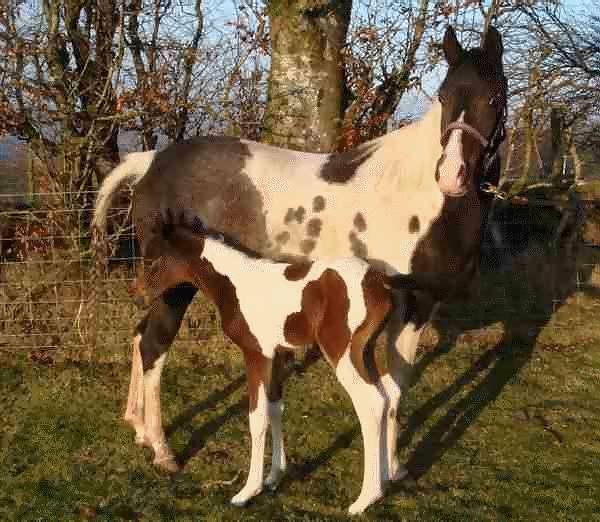 Lovely showy filly who should well and when older will guarantee a coloured foal to any stallion..
Malikah is a bay and white homozygous for tobiano pintabian filly, she is very elegant and friendly and also 99.7% arabian. 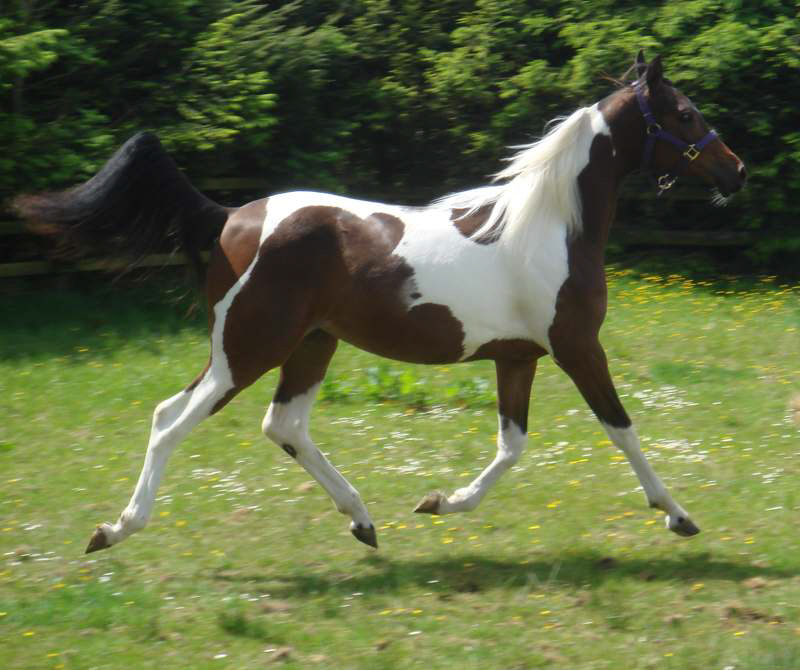 Malikah also comes from SCID free parents.. She is registered with the Arab Horse Society UK. 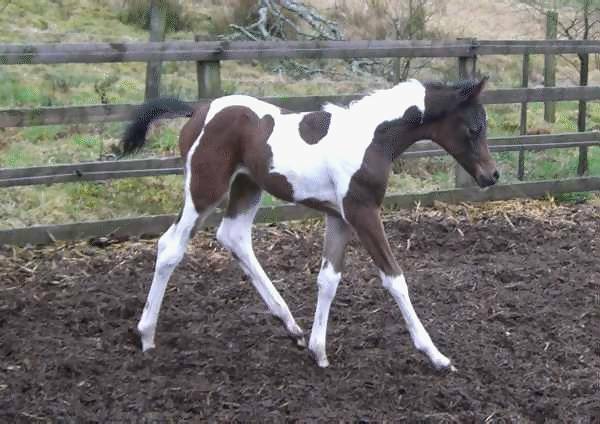 This one was the first foal of 2011 born at 3.45am Thursday 17th Feb 2011, beautiful bay tobiano pintabian filly by Psynergy. 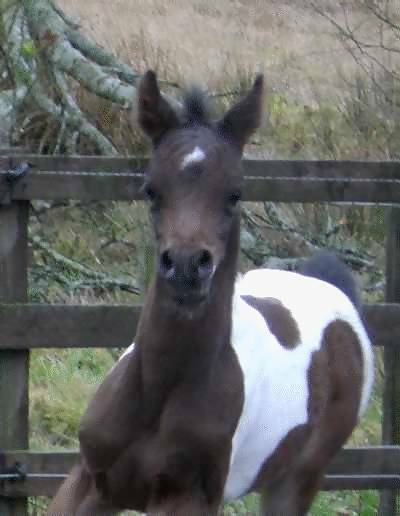 Gem has produced us yet another stunning filly foal, lots of attitude and flair already. 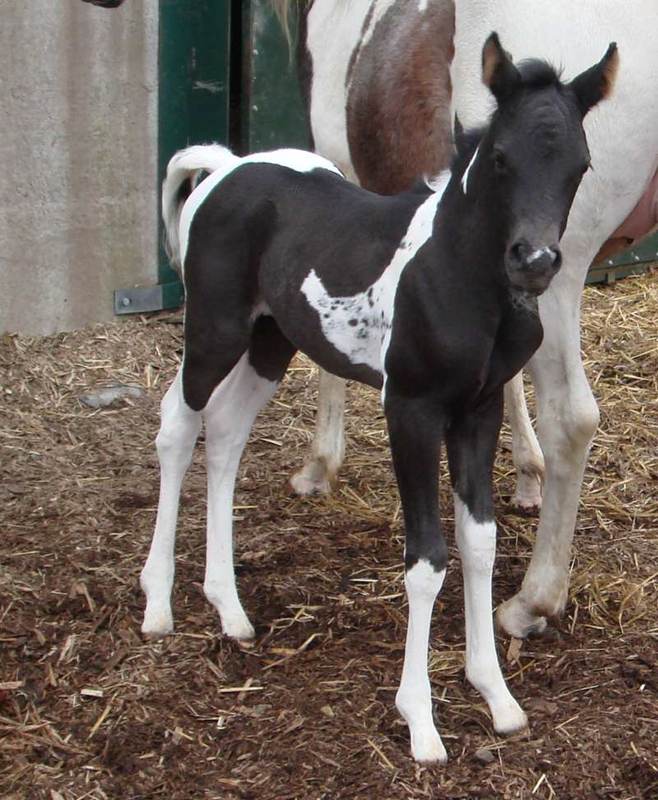 Spring 2012 and a stunning yearling has emerged. 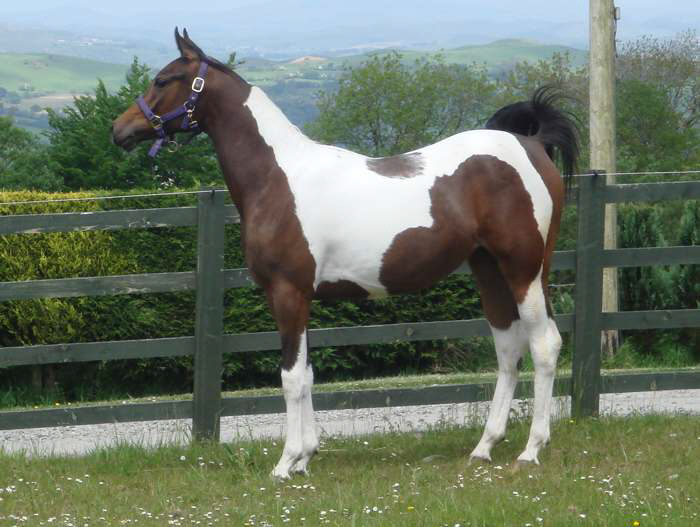 Saphire's sire is the illustrious purebred arab multi champion, this filly is full sister to last years very successful filly Amirah. 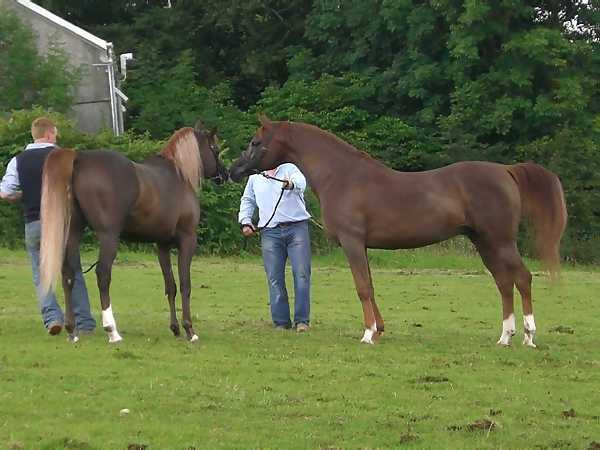 This photo taken at the Bychan arabians open day in 2007 on the left is Master Design GA and to the right is Psynergy.